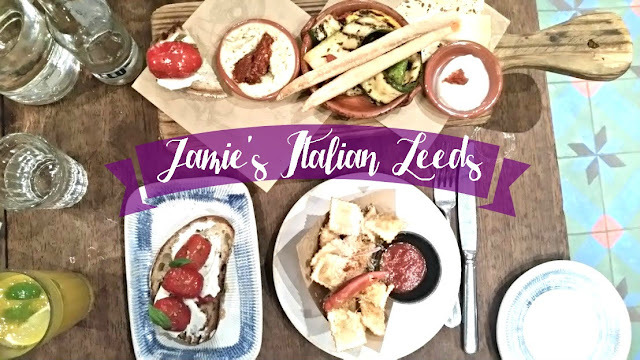 There are so many places to eat in Leeds that it really is quite amazing. 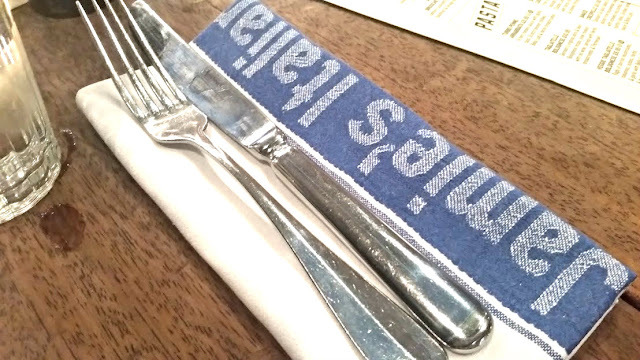 You can go down any street and for sure you will find a restaurant to suit your cravings. 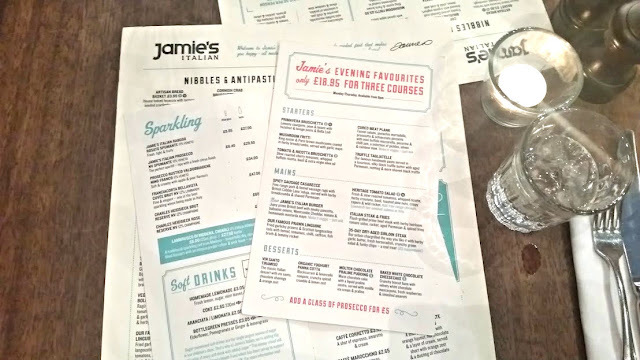 Last week, my family and I headed to Jamie's Italian in Leeds on Park Row for a lovely evening meal. The restaurant is tucked in the corner, 5 minutes away from the train station and is an old bank that has been converted into this gorgeous, rustic restaurant. There is a wide range of food available for all, we went after 6pm which means that we could enjoy the Jamie's Evening Favourites Menu - where you get thee 3 courses for only £18.95. Available Monday-Thursday. My Dad and I are huge fans of mocktails and love to try them out, where ever we go. 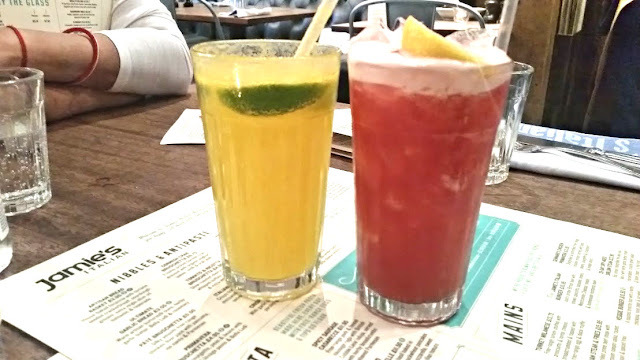 He went for the Refresher £3.50 which is Fresh lemon, elderflower cordial & cranberry juice, topped with lemonade and I opted for the Berry Best as I wanted something a little sweeter! Also £3.50 and is a mix of Strawberry & passion fruit purée shaken up with lemon, sugar syrup & cranberry juice. Then we go onto the first course - starters. Let me say, everything was amazing and very filling too. 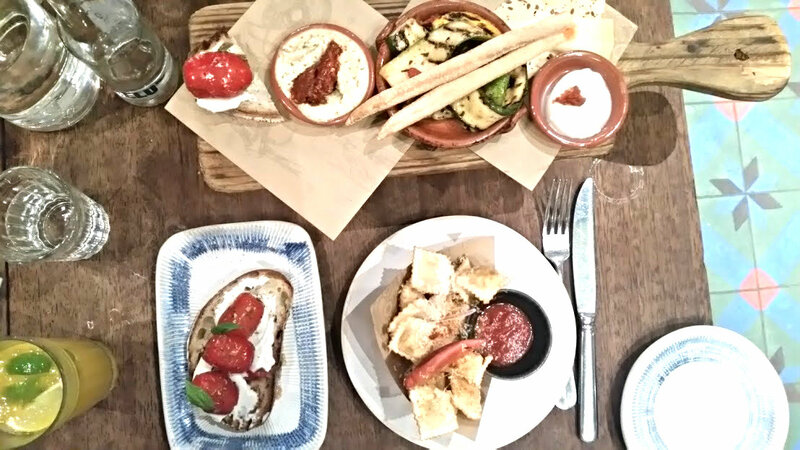 I went for the Tomato & Ricotta Bruschetta which was creamy yet tangy. My brother opted for the Italian Nachos, which are the nicest things we tried that whole night by far. They are small fried ravioli stuffed with mozzarella and served with a spicy tomato sauce - it was heavenly! My parents decided to share their starter as they didn't want something really filling - let me introduce the Vegetable Plank. It came out on a wooden plank and had several little dishes on to try out. Including a chickpea dip, bruschetta, chargrilled and mozzarella. 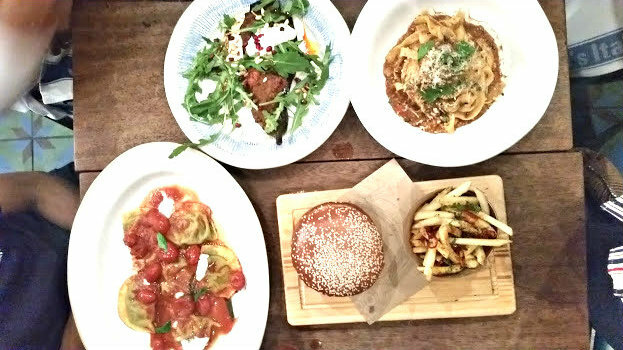 Starters like these are so much easier as you get to try everything and see what you like. Now on to the mains! We are all vegetarians, and found plenty of choice to go around and try between the four of us to see whats nice and whats not. All 4 of us thoroughly enjoyed our meals and got stuck straight in. When I was taking the above picture, our mouths were watering and we wanted to get eating! My brother went for Mezzaluna Caprese, more ravioli I know but he is a very simple, plain eater. This time round, stuffed with spinach and ricotta and then topped with a tomato sauce. My mum loves aubergine and went for the Sicilian Spiced Aubergine and she loved it! They take out the aubergine filled and mix it with lentils, tomatoes and raisins before stuffing it back in and topping with a spicy dressing and salad. It was the perfect light meal for the hot day. For mains my dad opted for Veggie Tagliatelle, a mixture of mushrooms, and chilli all tossed in pasta and cheese. 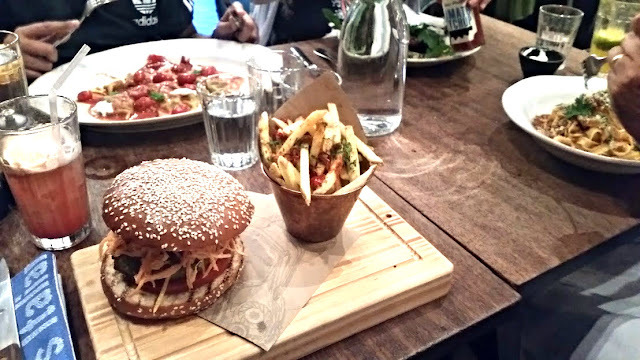 They both also had the spiced fries, as a side they were ideal. From the evening favourites menu I went for the burger - but the veggie version. It was huge and very filling, so I am very glad that I didn't get any added sides. Inside, there was a chickpea burger topped with cottage cheese, carrots, tomatoes and lettuce. It was amazing and very yummy. Veggie burgers can be very hit and miss but this was delicious. Of course we had to go for dessert as well right? 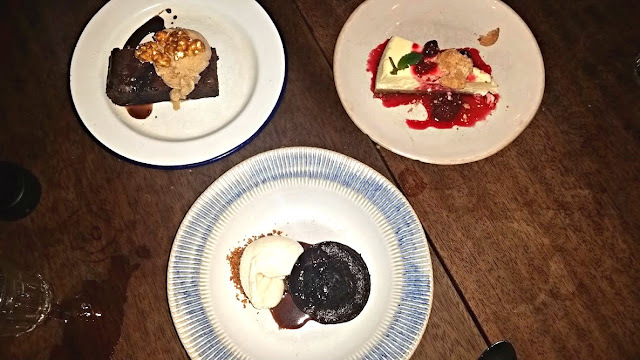 We only had three but shared them among the four of us - we do this all the time! The first one we had is the Epic Brownie, which I am really craving again right now. Its a warm brownie, with salted caramel ice-cream and popcorn - odd as a topping but works so well. Then we had the classic dessert, Cheesecake. Jamie's serve a baked white chocolate one with berries on the side and it was the perfect balance between sweet and sour. And, then finally my pick and my favourite I think - Molten Chocolate Praline Pudding. Just reading it must make you hungry, because it did me. The warm and gooey chocolate cake was filled with a liquid praline center and it melted with every bite. Mmmmmm. We all had such a lovely evening and can't wait to go back and visit again! Jamie has branches all over the country, so be sure to visit your local one!